And what, mused Kull, were the realities of life? Ambition, power, pride? The friendship of man, the love of woman--which Kull had never known--battle, plunder, what? Was it the real Kull who sat upon the throne or was it the real Kull who had scaled the hills of Atlantis, harried the far isles of the sunset, and laughed upon the green roaring tides of the Atlantean sea? How could a man be so many different men in a lifetime? Yesterday, James Maliszewski, proprieter of the Grognardia website, as well as a Friend of the Cimmerian, wrote up a thoughtful birthday post regarding Tollers. 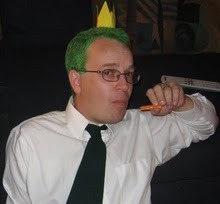 Primarily, the entry is concerned with the influence of the appendices for The Lord of the Rings upon James’ early role-playing gaming career. It’s a worthy piece and I advise the RPG-inclined to check it out. However, while not exactly a quibble, I think it worth mentioning that Tolkien did not in reality “box in” or over-explicate his sub-creation of Middle-earth as much as some surmise. If one excludes The Silmarillion and considers only The Hobbit and The Lord of the Rings, then JRRT left vast areas of his world unexplored and saw fit to let many metaphysical questions remain unanswered. The only region given a thorough going-over was north-western Middle-earth and even that had large areas about which little was revealed, whether in the tales themselves or in the appendices. 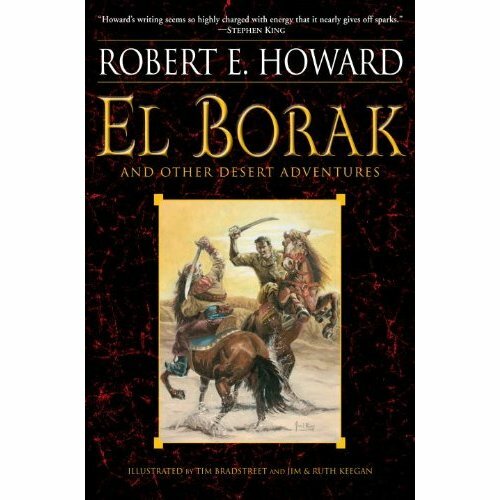 In contrast, Robert E. Howard had Conan personally visit many more far-flung regions (though it appears Aragorn came close to matching the Cimmerian in his own wanderings). In Howard’s (barely) post-Hyborian Age yarn, “Marchers of Valhalla,” he had Hialmar’s Æsir war-band nearly circumnavigate the globe on foot. In addition, while no official ‘appendix,’ REH’s “The Hyborian Age” essay goes a long way towards fulfilling that function. I’m not that big a fan of heavy metal, Jack Black or video games, but for those who are, this might be of interest. Though they namecheck Frazetta,, but not Howard, in the wiki write-up, Howard’s influence is seen in some of the promo material. Another review here. 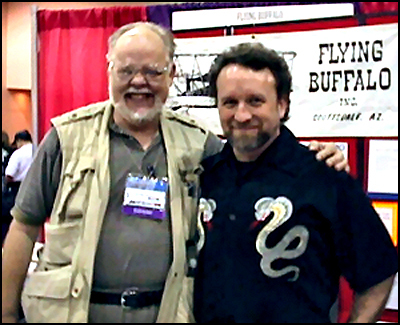 The late Dave Arneson (left) at a convention with former REHupan (and currently popular writer) Mike Stackpole. 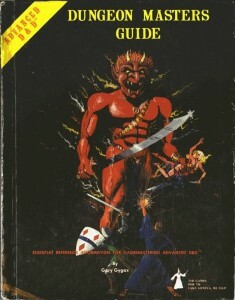 “The hero fighting critters.” That’s the kind of playfulness that lies at the heart of the success of D&D, and of RPGs in general, over the last forty years. Sometimes I feel that modern fantasy fiction has lost much of that, concerned as it is with portraying realistic civilizations awash in political intrigue and bitter anti-heroes at the expense of both heroes and critters. In a way, fantasy is currently in its dystopian phase, where every sub-created world reeks of Blade Runner-esque decay and dissolution. I think the time is ripe for a recalibration towards a less bleak and more traditionally robust civilizational worldview.